Lisa Osornio and Matt Gress, owners of the 3-year-old Tight Squeeze Coffee Shop on College Street in Burlington, are moving on east. 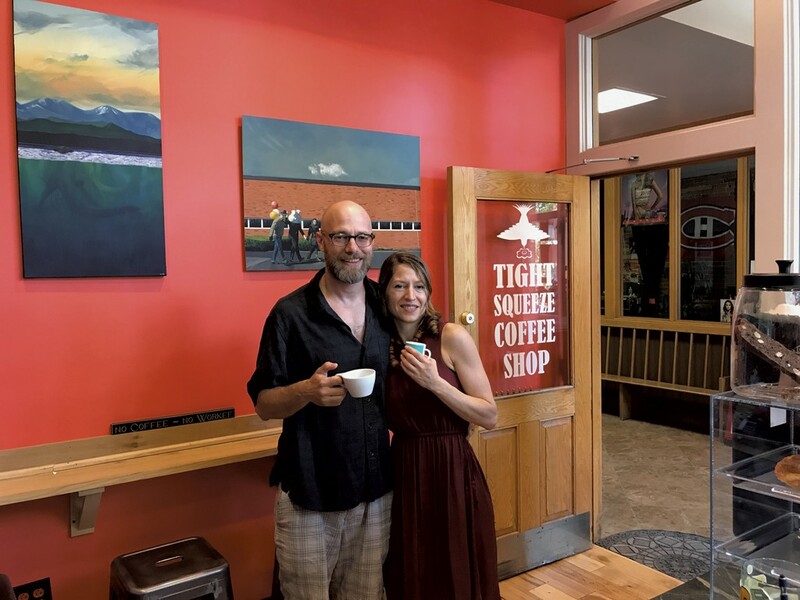 The pair are the new proprietors of Moose Muck Coffee House in Colebrook, N.H., right on the Vermont border, which they will run as a full-service food and coffee operation. "We really want to make it a community spot," said Osornio. "We have big plans to have music there and fun stuff like that" — including games, a small library and a piano for patrons to play. Meanwhile, back in Burlington, Tight Squeeze has a new owner: Michael Lucey, owner of Burlington Hostel and a partner in Drifter's on North Winooski Avenue. The transition should be seamless, Lucey said; Osornio and Gress will finish up on Sunday, and Lucey and his team will open the shop on Monday morning. "It's a beautiful little spot they've put together," he said. "They've done a great job of setting the place up and building the business." The busy entrepreneur took on the new project partly for its synergy with his existing operations. "We have coffee in the morning at the hostel," Lucey explained. "But a lot of our customers are looking for more than Folgers' drip." Now he can send them to nearby Tight Squeeze. Down the road, Lucey also plans to sell food from Drifter's kitchen, such as breakfast sandwiches, at the coffee shop. The timing of the transition is impeccable, Osornio noted: "Our block has grown so much since we moved in. We're hitting higher numbers this year than we ever have. It's a really nice time to pass it on." The original print version of this article was headlined "Main Squeeze"